For almost ten years I’ve been looking for Kenny Wheeler’s Gnu High album on vinyl. This week I found it in a used record store, in great condition at a great price! It was Kenny’s first session for ECM records, and he’s backed by the amazing trio of Keith Jarrett, Dave Holland and Jack Dejohnette. Unfortunately I’ve spent my few free hours this week learning pop songs for a wedding, so I haven’t had time to get deep into it. 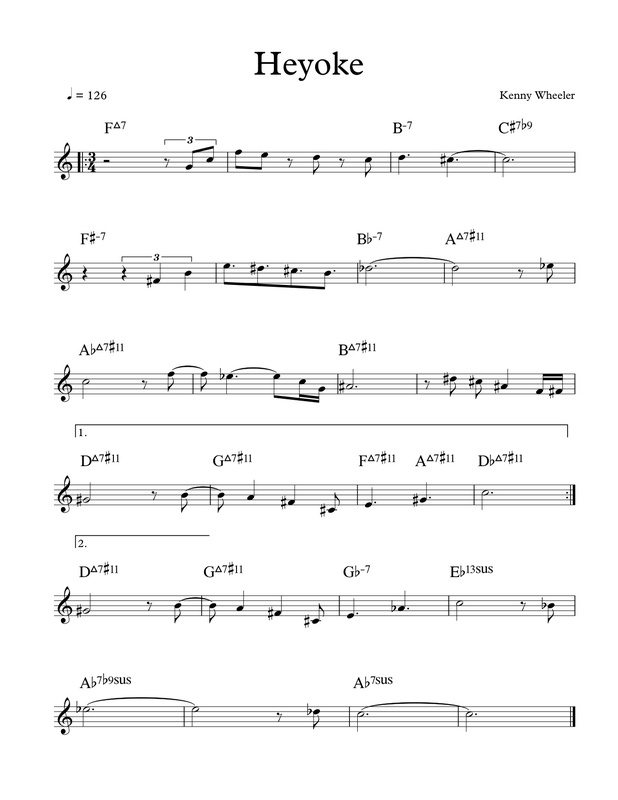 This entry was posted in Uncategorized and tagged gnu high, Heyoke, jazz, Kenny Wheeler, lead sheet, music, Noteheads, transcription on March 22, 2013 by noteheads.